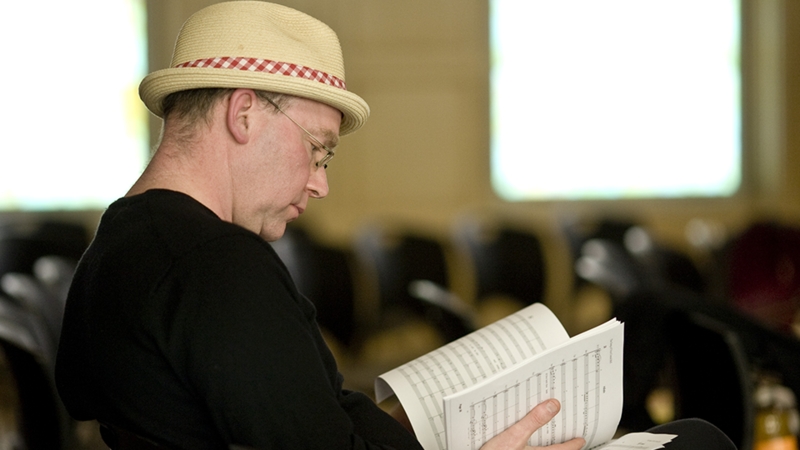 Composer, pianist and keyboardist Wayne Horvitz has composed and produced music for a variety of video, film, theater and dance projects. Recent projects include Music For Morning, commissioned by Experience Music Project in Seattle. Music For Morning performers are Wayne Horvitz, Bill Frisell, Ron Miles, Joey Baron and Peggy Lee. Another recent project resulted in a CD, Mylab (2004), on Terminus Records. Mylab is a collaboration with with Tucker Martine and guest artists, including Bobby Previte, Doug Wieselman, Danny Barnes, Eyvind Kang, Bill Frisell, Robin Holcomb, Michael Shreve, Skerik and others. Wayne’s score to Charlie Chaplin’s film The Circus, for two pianos, two clarinets and violin premiered during January 2000 in Oporto, Portugal and appears on CD as a part of the Tzadik CD, Film Music (2003). Other projects include two film scores with director Gus Van Sant and a full-length score for PBS’s Chihuly Over Venice. Works for theater and dance include music for a production of Death of A Salesman for Seattle’s ACT theater; productions of Ezra Pounds’ Elektra and the American premiere of Harold Pinter’s Mountain Language, both directed by Carey Perloff. Other theater and dance works include music for Bill Irwin’s Broadway show Strictly NY and productions by the Liz Lerman Dance Exchage and the Crispin Spaeth Dance Company. Some recent and notable CDs include Otis Spann and other compositions (2001) on Periplum Records and Monologue – 20 Pieces For Dance(1997), a solo recording on Cavity Search. Please refer to the discography page for a complete listing of Wayne Horvitz recordings.